C’mon, we can all do better than $40. Now back to the fishing. If you have been following our Bozeman fly fishing reports and forecasts you already know that 2018 has been a hopper year for the books. If you surveyed our fly fishing guides as to what they were using, 90% would be throwing hoppers 90% of the time for the last month. Look for this to continue into September. Looks like we got stable, cooler weather in the forecast. No need to be the first boat on. Look for the bite to get going mid morning, later and later as we move through the month. And historically river traffic drops off sharply after labor day. 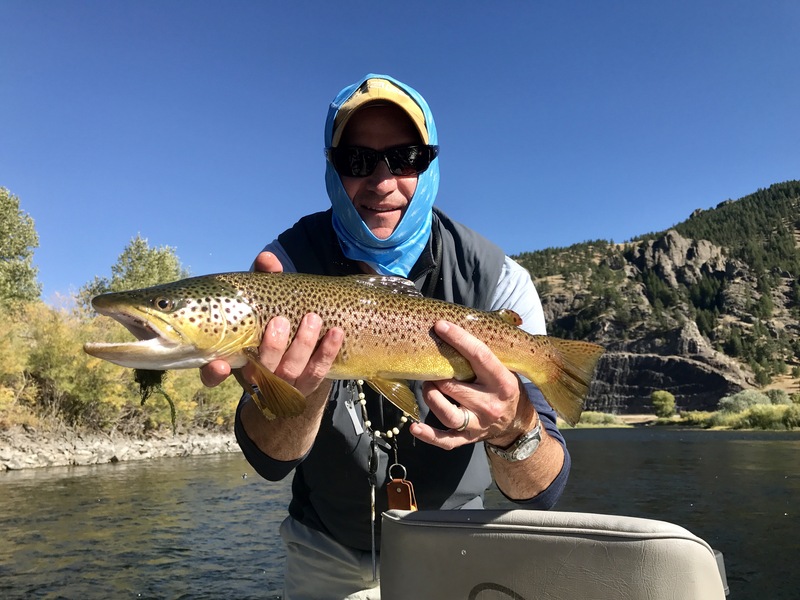 The Yellowstone River, Madison River, and Missouri River will all fish well through September. Mostly dry fly fishing on the Yellowstone River and a mix of nymphing and dry fly fishing on the others. Streamer fishing will start to pick up as river temps gradually drop. Looking at my calendar it looks like I’ll be fishing the Missouri River early in the month, Yellowstone River and Madison mid-September, and back to the Missouri River to close things out at the end of the month. Solid plan and looking forward to it. Cooler weather and rain has meant an increase in flows on many of our smaller local rivers. Probably a combination of reduced irrigation needs and runoff from recent storms. This September will be a great opportunity to hit some local favorites that are too low or too hot to fish many Septembers. No hoot-owl restrictions around Bozeman this year. Our Montana fly fishing guides’ calendars are just about booked for September but we do still have some availability. Give us a shout and we help you plan your best Montana fly fishing trip yet for September or beyond. As always June 2019 is filling up fast. Never too early to start planning your next Montana fly fishing trip.